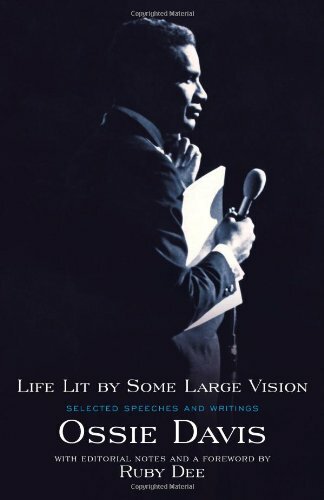 Publisher: Atria Books, Simon & Schuster, Riverside, NJ, U.S.A.
A compilation of speeches, essays, and other writings by the late performer and civil rights activist includes such examples as a monologue from his 1961 play Purlie Victorious, his eulogies for Malcolm X and Louis Armstrong, and the speech "The English Language Is My Enemy." 30,000 first printing. Ossie Davis appeared in numerous Broadway and Hollywood productions, including I'm Not Rappaport, The Defenders, The Stand, Jungle Fever, Evening Shade, and The Client. He was also the author of several plays, teleplays, and children's books. He passed away in February 2005, still active in his work at the age of eighty-seven.